“Those lawyers aren’t the legal team you are looking for; move along.” If only it were that easy to direct business your way. While law firm branding isn’t a Jedi mind trick, it can be just as powerful if you believe in its force. Recently, I have heard too many people proclaiming that law firms cannot be branded. I call “bull” on that. If a law firm can’t be branded, it’s because its leadership doesn’t believe in branding’s power and isn’t willing to spend the time and money on a discovery exercise to identify the firms’ core brand values and differentiators. Branding is telling your firm story – the real story – to the right audience. That story needs to be consistent, yet also easily adaptable for different audiences, even those in galaxies far, far away. Way too many times, I have seen a law firm create a brand and position but then allow its attorneys to bastardize it or ignore it all together. That is a sure way to create brand confusion and lose valuable brand equity. Brands can evolve, but changing the brand message based on your own subjective preference and arrogance is bound to lead you and your firm down a dark path. The Star Wars brand has been alive and profitable since 1977 and, 37 years later, it is even more powerful than ever. Why? Because the brand is remarkable, memorable, consistent, authentic, and easily found and recognized. Just think of all the products that have sported Star Wars imagery: Band-Aids, coffee creamer, soup cans, sleeping bags and luggage, just to name a few. Chances are, if you weren’t a Star Wars fan or had never even seen a Star Wars movie, you are now either intrigued by, or at the least very aware of, the brand. These traits – remarkability, memorability, consistency, authenticity, recognizability and ubiquity – are key to any successful branding initiative, whether you are a consumer product, an entertainment corporation or a service provider. Branding is a promise, and the best way to articulate that promise is through brand stories that will be told again and again, from planet to planet, at light speed. Star Wars is such a successful brand because of the stories of its characters. These stories resonate with all kinds of people in very different ways, and they resonate deeply. Want proof? Just look at the longevity of the Star Wars franchise and the fervor of its fans. There’s a reason a new Star Wars movie garners international attention. The purpose of branding is to build, maintain and grow a pipeline of loyal believers, followers and clients. A law firm brand that has an emotional resonance will entice these constituents to share their stories about their experiences and relationships with your brand, thus generating even greater loyalty. It stands to reason that, if you have an authentic promise, brand stories and loyal followers, then you have a brand. If I were running a law firm, I would totally be concerned if we didn’t have those three elements in place. Believing that branding is a waste of time and money for law firms is a surefire way to experience the dark side of marketing and business development. Believing in the power of branding is a force to be reckoned with. Successful firms have brands that are told through stories that attract and connect with followers, clients and a general audience. These brands have buy-in from all attorneys in the firm, and all attorneys live by the values reflected within the brand. To start identifying your own law firm brand, find what makes your attorneys Jedis within the craft and capitalize on these differentiators to explain to your audiences how they set your firm apart. All of your marketing efforts should incorporate messages of that unique trait to help attract others who believe in your brand, story, mission and promise. 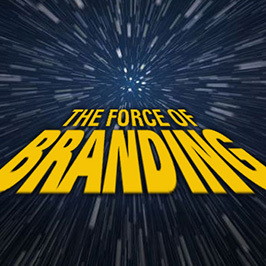 To discuss how to awaken the force of your brand, contact me, Terry M. Isner, at tisner@jaffepr.com.